We can now add Fashion Fairy Godmother to Oprah's never-ending list of monikers, after the media mogul literally gave the designer dress off her back to an adoring fan. 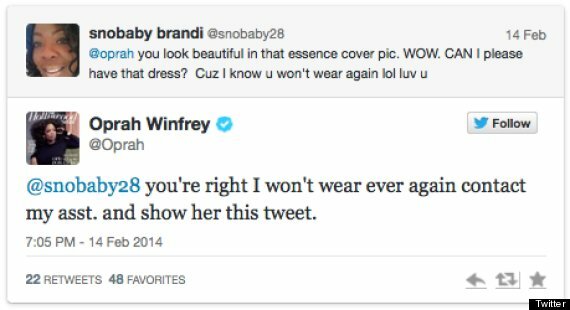 It all went down when a woman named Brandi, or Twitter user @snobaby28, asked Oprah if she could have the dress the megastar donned on the cover of Essence's March 2014 issue via a sweet tweet. 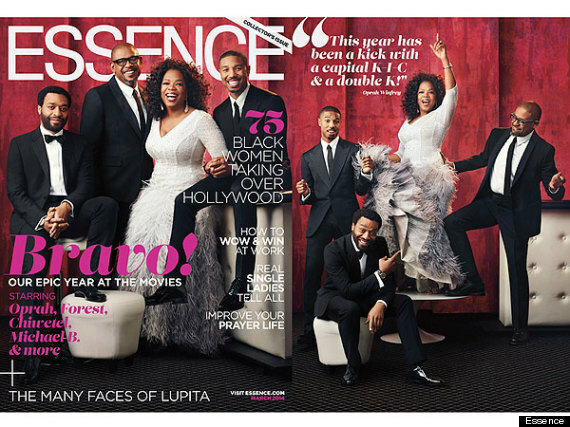 And Oprah, being the saint that she is, granted the Atlanta native's wish. 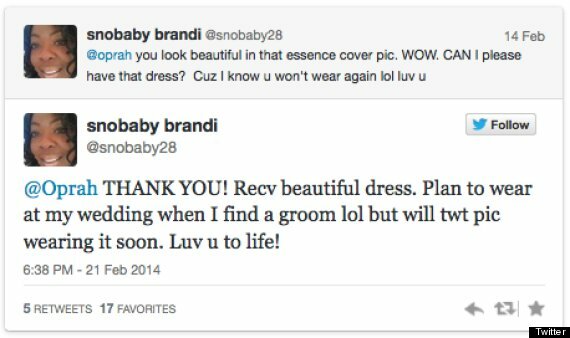 No less than a week later, Brandi received the Brian Rennie for Basler gown and vowed to wear it whenever she gets married. But we're sure she'll be twirling around the house in that number every chance she gets -- at least that's what we would do.